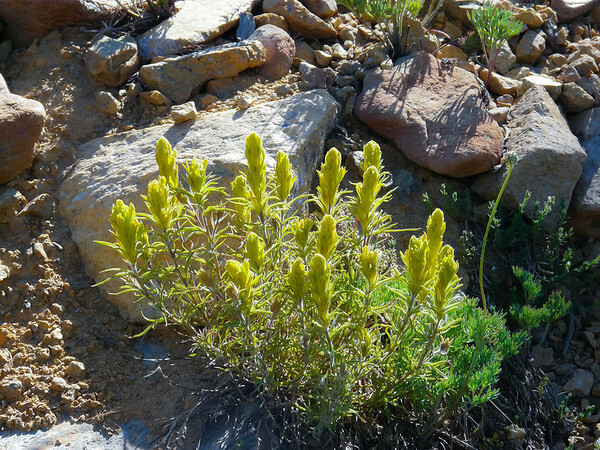 Castilleja arachnoidea (cobwebby paintbrush), maybe. I'd like to see more fuzz, though. Lower down there were lots of orange ones, but up here, they were yellow.